A contemporary offering is the Lotus Edward shoe. This men’s, lace-up brogue is distinctive for a number of reasons. 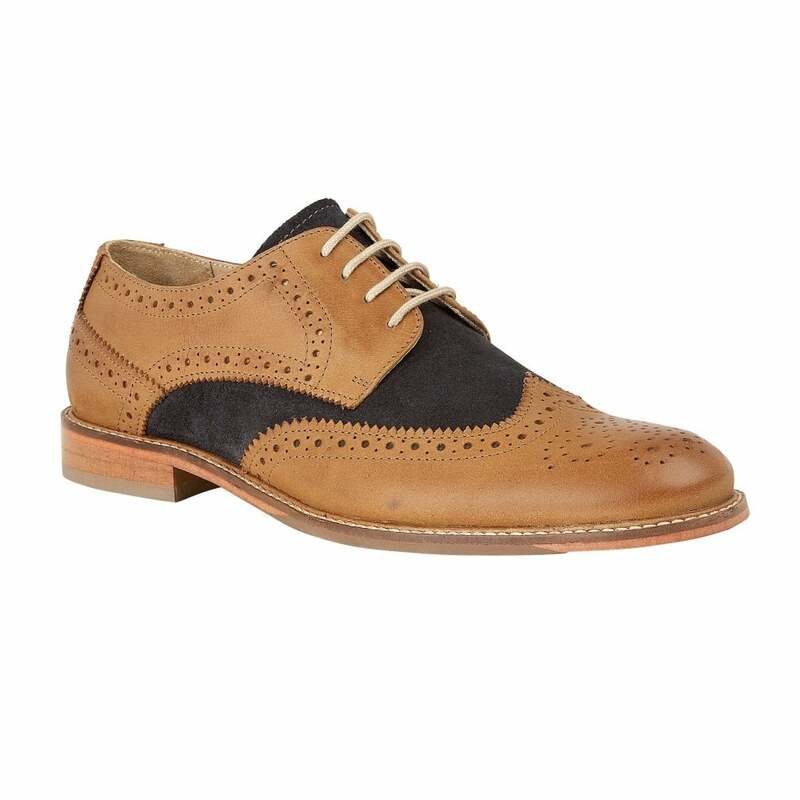 Gracing the faux leather upper is decorative punch work and wingtip detailing, but it is the tan and navy that combine on the upper that gives this Lotus men’s shoe a contemporary edge.